Almost Live! 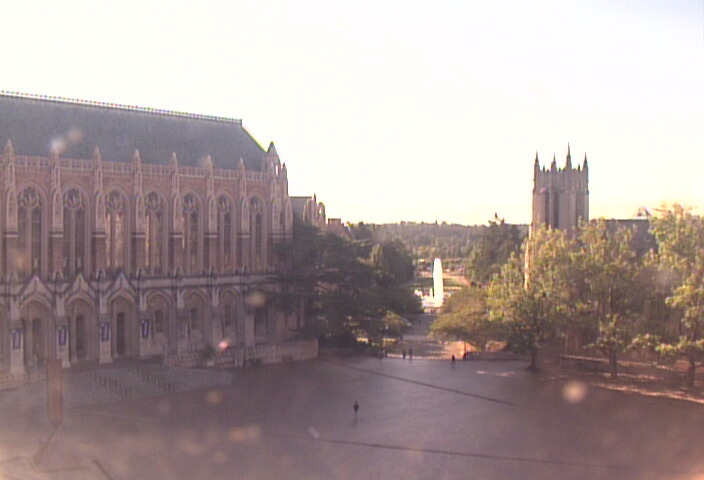 These are live views from various locations on the University of Washington campus. Images are updated every 5 minutes. The image is captured from a video feed at regular intervals, usually every minute. This allows everybody on the Internet to experience the reality of Seattle weather. Weather information is provided by the Department of Atmospheric Sciences. The weather observations are taken by weather instruments on the top of the Atmospheric Sciences Building. You can also check the weather with other Pacific Northwest Live Webcams. Cambot Picture Archive - Movies, still pictures, and the April Fools archive.